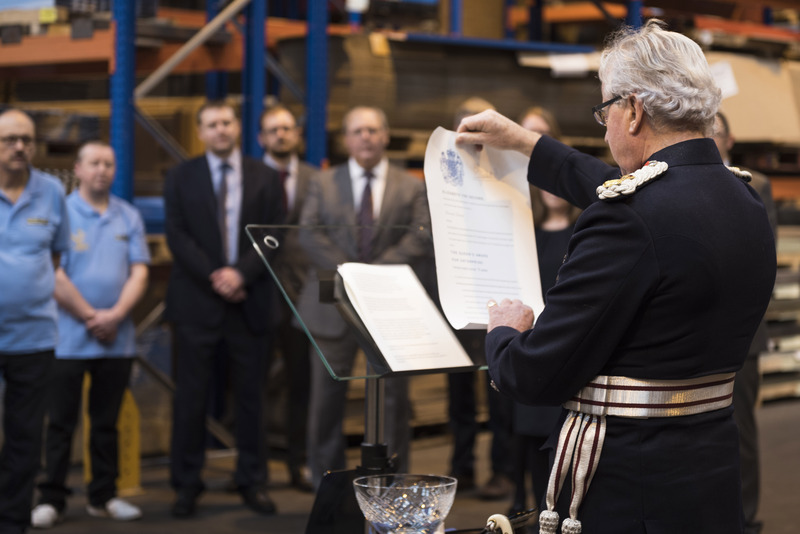 Representing the Crown, the Lord-Lieutenant took a tour of the factory, meeting the company’s staff and learning about the wide range of products that has brought international success for the specialist metal storage manufacturer. 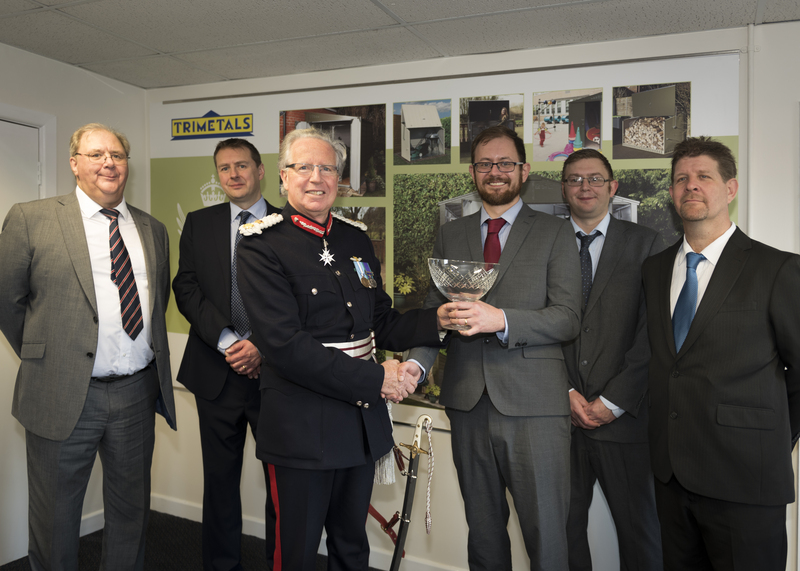 The award, for International Trade, honours Trimetals’ impressive export figures, with its products proving popular around the globe. In the last six years the company’s international sales growth has averaged 33% per annum and totalled 283%. Overseas trade now accounts for 18% of the company’s revenue. The awards are made annually by HM The Queen and are only given for the highest levels of excellence demonstrated in each category and this is the second royal badge of honour for Trimetals, with its products having recently achieved status as the only metal sheds and garden storage approved by the Royal Horticultural Society.